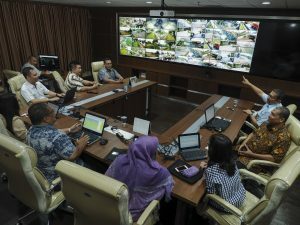 Implementing Good Corporate Governance (GCG) is not only a reflection of the Company’s compliance with prevailing laws and regulations in Indonesia. For the Company, GCG implementation is in line with the Company’s vision and mission and serves as the cornerstone in the creation and building of resilient and sustainable corporate structure. Since PT Astra Agro Lestari Tbk became a public company in Indonesia in 1997, GCG has become one of the essential elements for the Company in maintaining sustainable growth, and also becoming a national oil palm plantation company. The Company is committed to engage in the country’s development by contributing significantly to the Indonesian economy, and becoming a role model for others in the implementation of GCG.